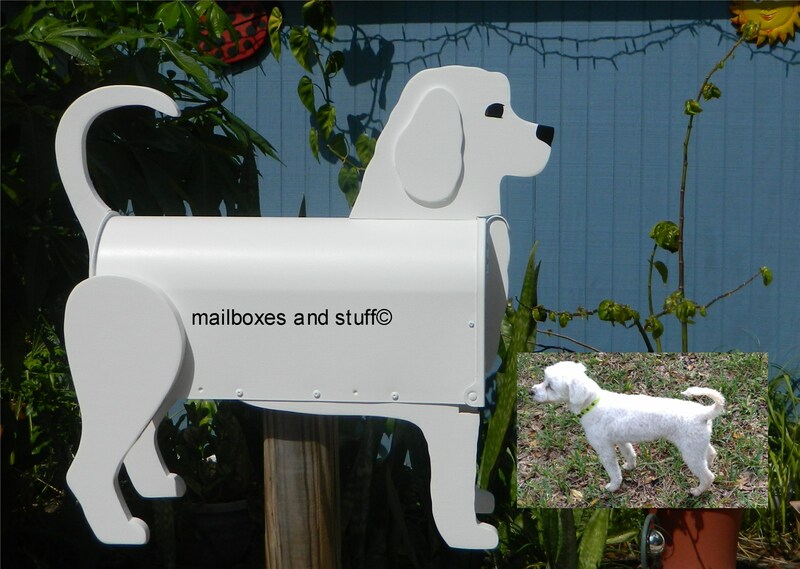 DOG MAILBOXES ~ HAND PAINTED Mailboxes shaped like Dogs! 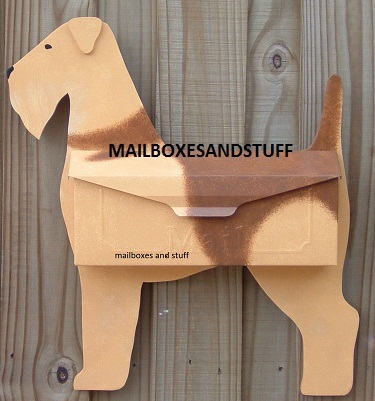 MANY of our Original Specific Breed Design Hand Made Dog Mailboxes can be CUSTOM PAINTED like your DOG .... Send us a picture via email or Snail mail! will NOT be found on any other website!!! Beware of Imitations! 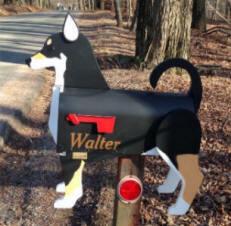 Lots of folks try really hard to COPY our Dog Mailboxes but don't be fooled. Our quality and Craftsmanship cannot be duplicated. 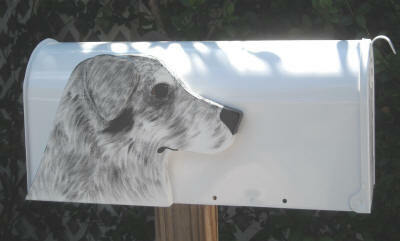 All of our Dog mailboxes are custom hand made and hand painted after they are ordered . We DO NOT have any in stock. We work on our orders every day of the week and get them out just as fast as we can. 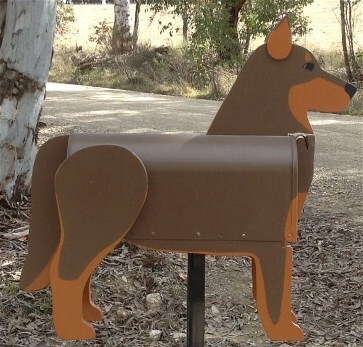 We can include a mounting kit for you if you wish , to make it easy as pie to mount your Dog Mailbox on your 4 x 4 post .. 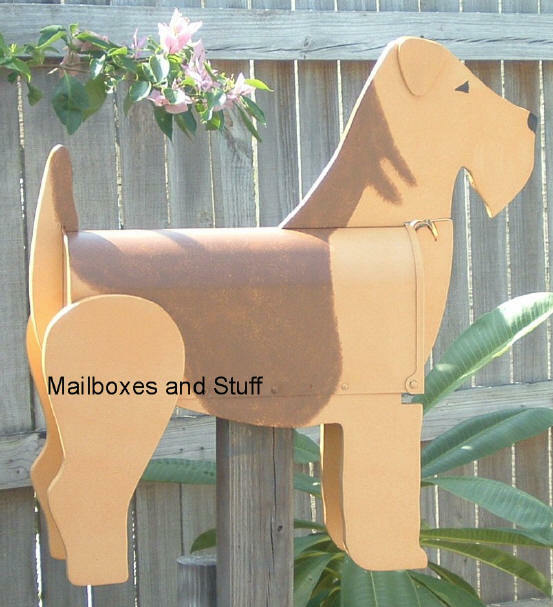 These are made of exterior grade wood attached to a standard rural size solid steel mailbox . They are hand painted with EXCELLENT Behr exterior house paint and have a tough outer coating that will last for years. Need a Gift NOW ? 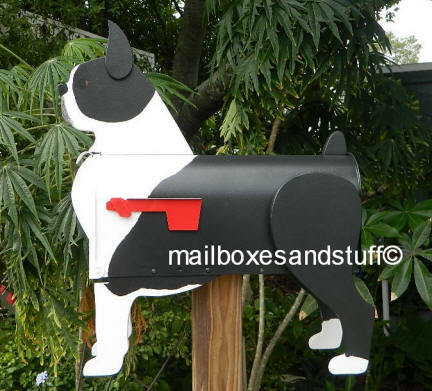 We can send a Gift Announcement Cards letting them know that a custom hand made mailbox is being created especially for them. It's the gift that gives twice – once when they open the card and again when it arrives. Much easier to wrap, too! 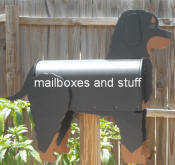 So many Dog Mailbox breeds to chose from , scroll thru the Sidebar list to go directly to your preferred breed. 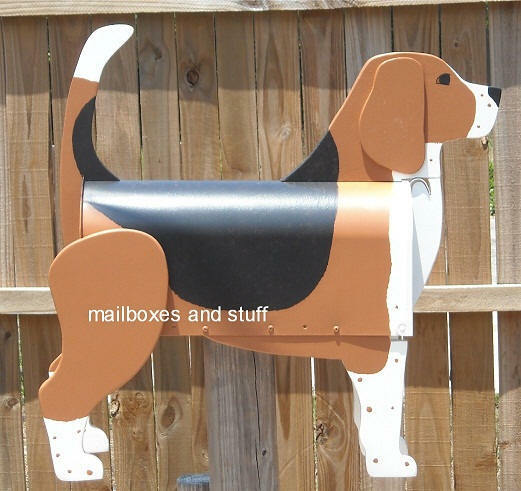 Custom Painting available ... Wall mount Basset Also available! Not just Specific Breeds ... GOT MUTT??? NO problem ! 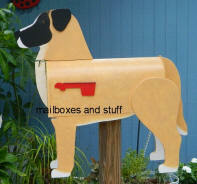 EXCLUSIVELY at MAILBOXES and STUFF! 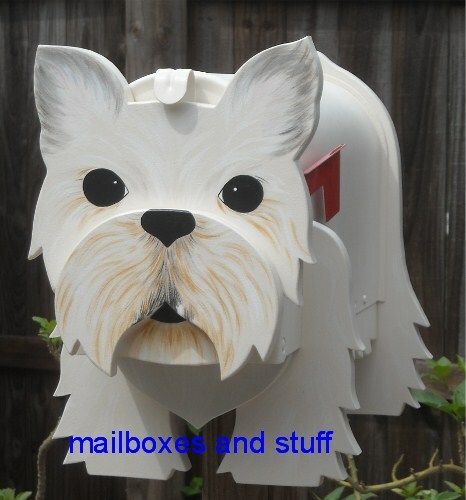 You will not find our mailboxes ALL over the Internet like so many others who make their mailboxes cheap and then wholesale them to numerous sites. 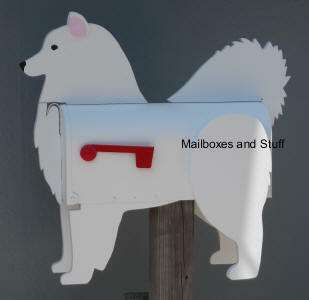 Our custom made novelty Dog mailboxes are all Hand made and Hand Painted by husband and wife team, Susan and Bill Harrison who pride themselves in their HIGH QUALITY workmanship!!! 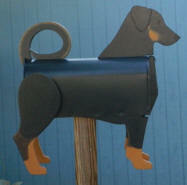 Many folks have TRIED to copy our Dog Mailboxes ... but NO ONE duplicates our craftsmanship and artistry!